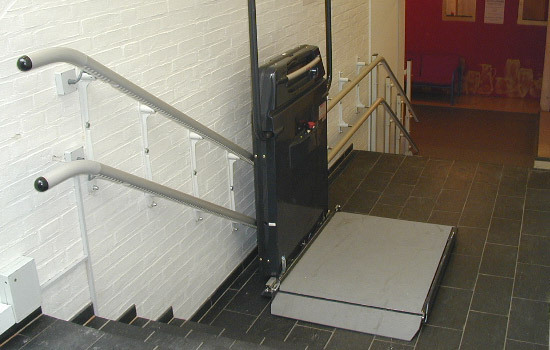 An excellent solution for straight and curved stairways, the Incline Platform Lift satisfies the most demanding safety requirements. 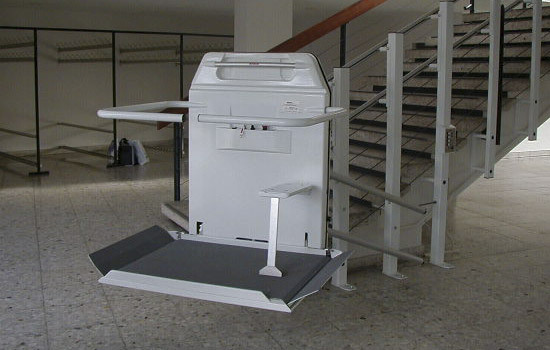 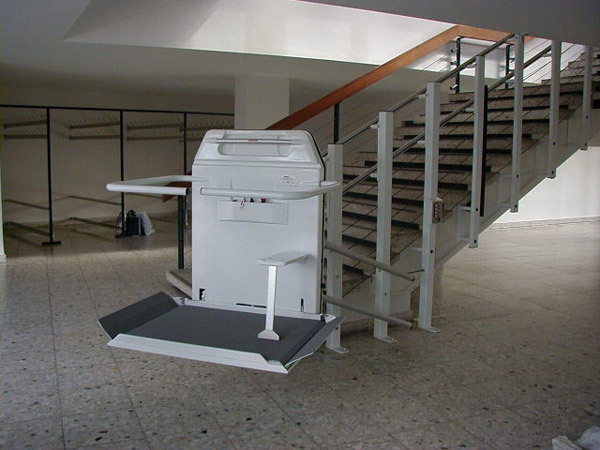 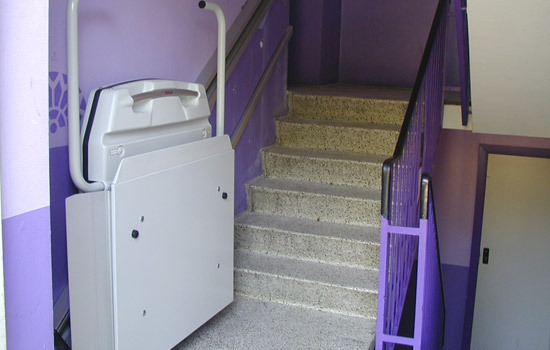 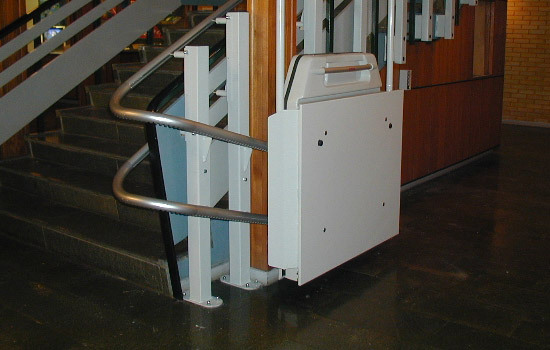 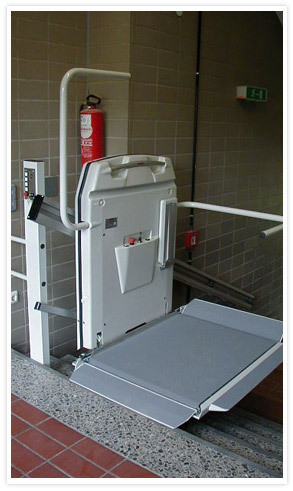 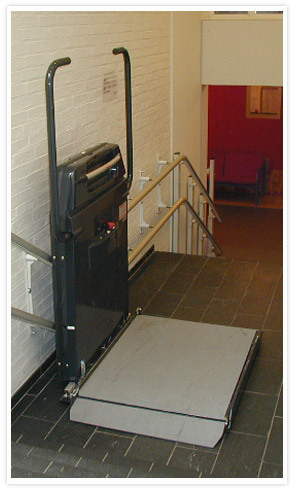 A compact folding platform, provides a steady smooth ride for wheelchair users and when folded is unobtrusive leaving the staircase free for other users. 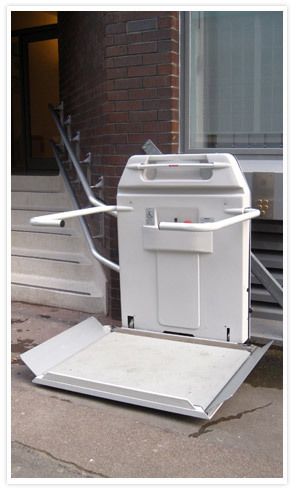 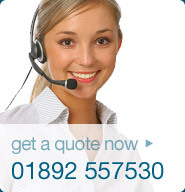 Fully automatic operation is safe and easy and requires no special training. 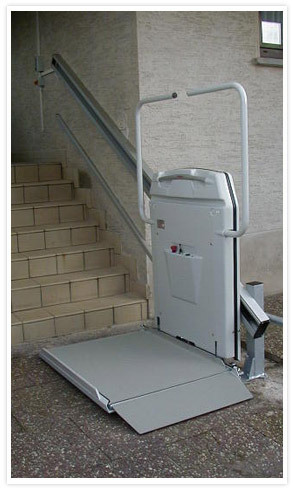 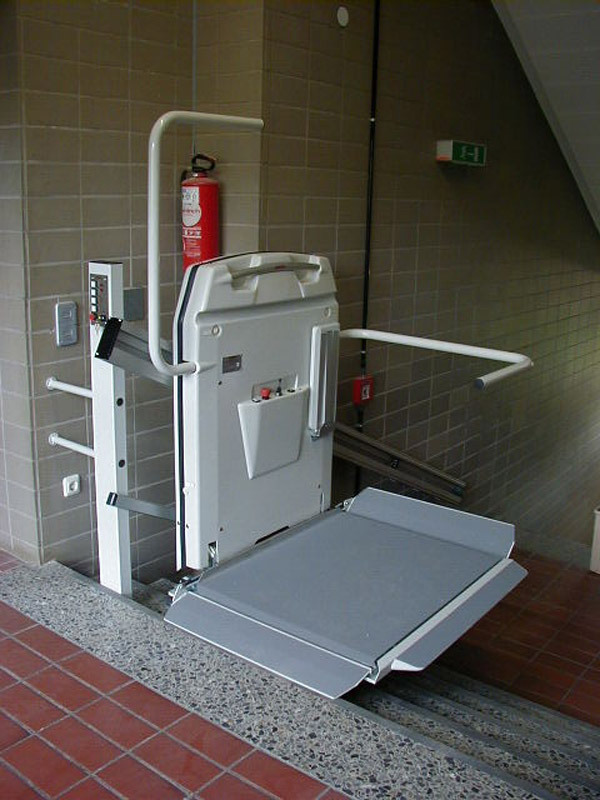 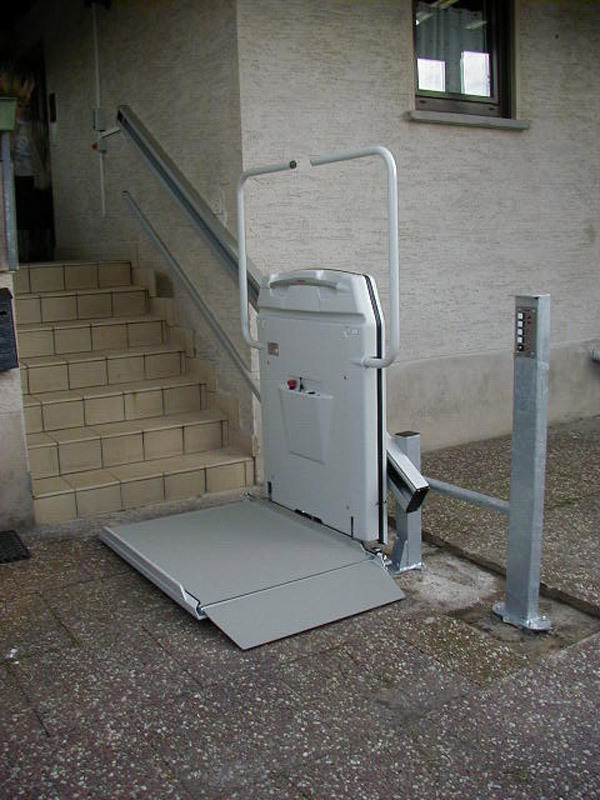 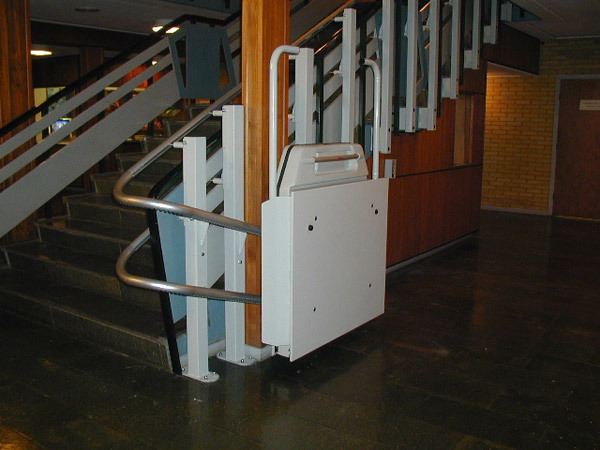 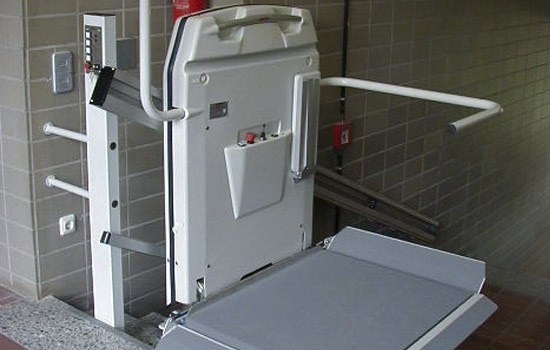 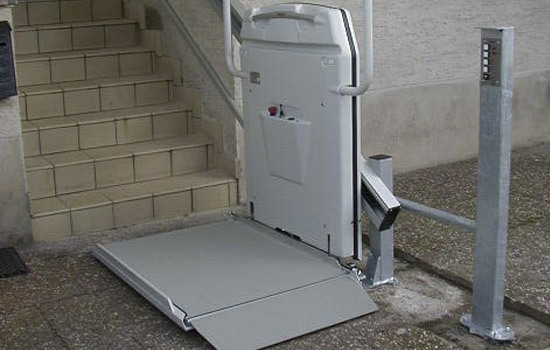 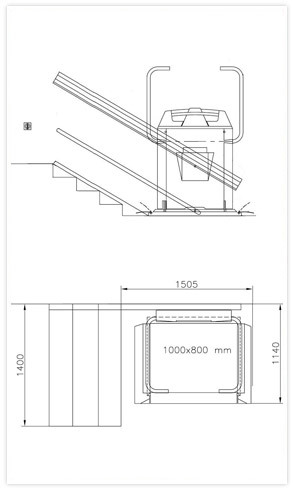 The Inclined Platform Lift is a unique product which offers an excellent solution for straight or curved stairways and satisfies the most demanding safety requirements, making it perfect for installation in public buildings or at home. 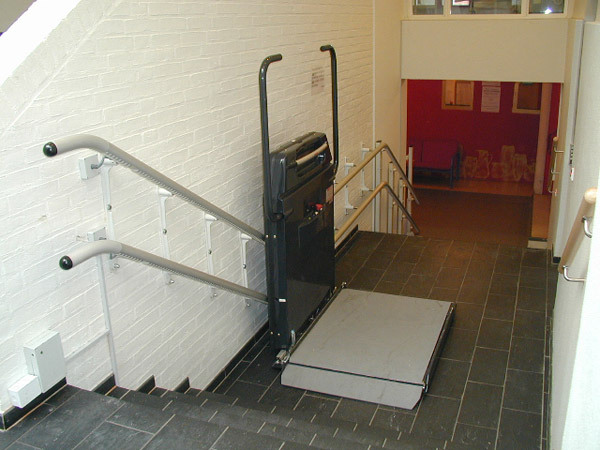 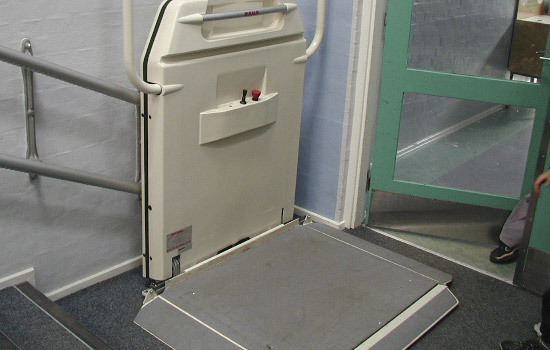 All our incline platform lifts can be tailored to suit specific environments.